She opens with Oh luce di quest'anima from Donizetti's Linda di Chamounix, a popular encore number which has a strong life outside of Donizetti's complete opera. This is a coloratura piece, and requires the ability to show off. Ilona Domnich has a flexible lyric voice which clearly extends to the coloratura, perhaps she does not quite achieve a perfect ease, but she brings a strong sense of character to the work with a lovely sense of joy. The disc was recorded in St Augustine's Church, Hampstead and which the overall sound is good, the extra brass in this aria catch the reverberation in rather striking fashion. Tu as raison, Si, je t'ecoute is from Poulenc's La voix humaine, the one-woman opera based on Cocteau with the singer on the end of the phone all the time. Having performed the role a number of times on stage, she brings a real vivid intensity to the part, and sings with lovely French. She and Simon Over make the Poulenc's flexible recitative work so well that at times it has the supple beauty of Massenet with naughty harmonies. Tout est sombre... Lorsque je n'etais qu'une enfant is from the last act of Messager's opera Fortunio (I saw Ilona Domnich in the role of Jacqueline at Grange Park Opera in 2013). There is the same sense of lyric melancholy here as in the Poulenc, though Messager's language is not as harmonically spicy. This very much text based music and here, and in the Poulenc, she shows herself fully alert to the subtleties of singing in the French language. Magda's Denaro! 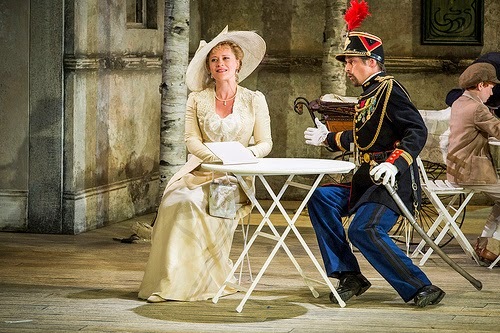 Nient'altro che denaro from Act One of Puccini's La Rondine is not the most excerpted of arias from this piece, and is a lovely piece of free-form writing with Puccini responding to the words and the character's emotions. Again, we have lyric melancholy despite the echoes of a waltz in the work. Ilona Domnich does not have a classic Italian-style soprano and tends not to open up at climaxes, but here she bring warmth and communicativeness to the role. Next comes Manon's gavotte from Act Three of Massenet's Manon with the long introductory passage as well, again forming an interesting piece of flexible arioso-like writing. 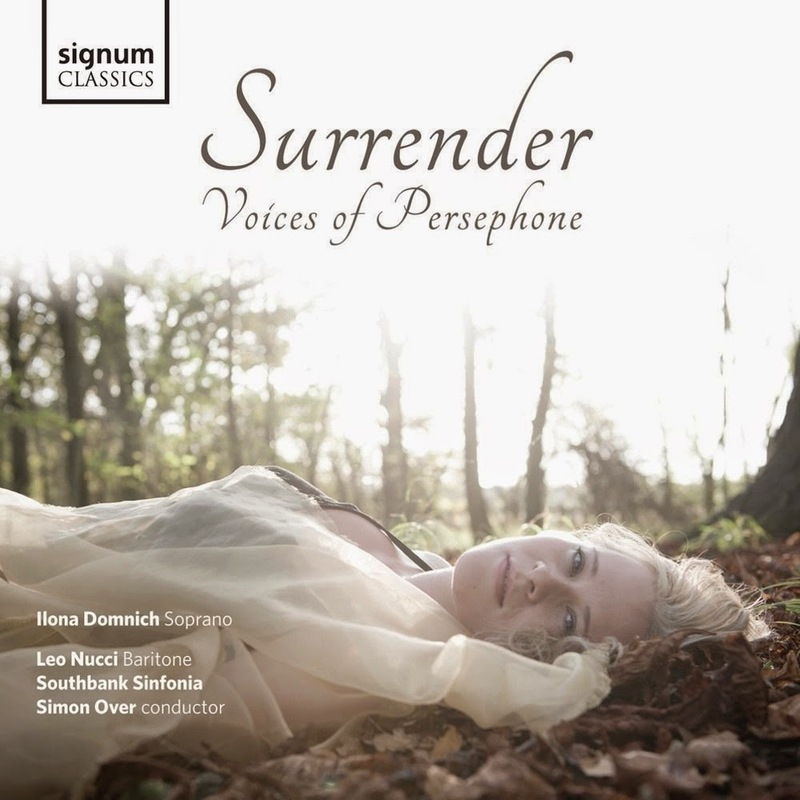 Ilona Domnich's Massenet is very stylish (I loved her singing in all the French items on this disc), but with a sense of this being a slice of drama rather than a simple show piece, though again I did wonder whether the voice was ideally relaxed when under pressure. Rimsky Korsakov's The Snow Maiden is one of those operas which deserve to be better known. Here Ilona Domnich sings Snegoruchka, the Snow Maiden's aria from the opera's prologue. She is a young innocent with coloratura tendencies, and Ilona Domnich brings a charming naiveness to the role. We are in more familiar territory with Verdi's Rigoletto and one of the questions that Ilona Domnich asks in her notes is how innocent is Gilda actually? 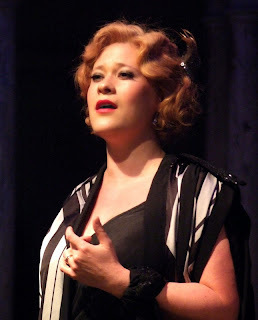 Here, in Caro nome she sings with a lovely directness and some shapely coloratura. There follows a sequence from Act Two of the opera, encompassing Gilda's return to her father and their duet, recorded with the veteran baritone Leo Nucci. Ilona Domnich is beautifully expressive here, fragile but clearly in possession of herself. This is a moment when an earlier generation of composer might have given us a mad scene, but here Verdi is more true to life and Ilona Domnich brings this across. Leo Nucci brings a lifetime's experience to the role of Rigoletto, and his performance is supportive, characterful and highly sympathetic. Mozart's Countess takes us from innocence to experience and the ability to transform your life. Dove sono is the Countess's entrance aria in Le nozze di Figaro but anything less like an entrance aria, I cannot imagine. Ilona Domnich is quite a light-voiced Countess, a youthful one, and you feel that it will be a role to grow into, but here she is expressive with a nice feel for the phrasing. Rosina from Rossini's Il barbiere di Siviglia is effectively the same person, though musically very different. Written for a coloratura mezzo-soprano, it is a role long adopted by sopranos and this is very much a coloratura soprano version. I feel that she is far too nice here, with a well turned phrase and not a strong enough sense of the underlying character (think Callas in the aria, for a sense of what is possible). Finally we return to Rigoletto with Gilda and Rigoletto's Act Three duet, a powerful and moving conclusion to a recital which manages to take the familiar and look at it in slightly unfamiliar ways. Both Ilona Domnich and Leo Nucci bring a sense of the reality of the emotions underlying Verdi's familiar and powerful music. Not everyone will find Ilona Domnich's sideways look at the opera recital helpful, but it shows an admirably inventive way of thinking about the problem of structuring a recital. Clearly she does not want to devote a whole disc to singing naive and demented heroines, and here by bringing an alternative narrative to the disc we get to explore the music in different ways. I have to confess that I am not always completely convinced that singing coloratura roles is her natural territory, and a sense of care and lack of ease can creep in to these moments. But in the more lyric Italian repertoire and all the French pieces on the disc she is on fine form,and frankly there are moments in the French pieces which are quite stunning in their combination of text, music and drama and I hope to hear far more of her in this repertoire. My caveat about the resonant acoustic apart, Simon Over and the Southbank Sinfonia accompany and support in admirable fashion. Their size means that we get some nice piquancy to the wind playing when this can disappear with bigger string ensembles. This is one of those disc which you listen to and not only admire it, but you are intrigued to find what happens next. Clearly Ilona Domnich is a singer who thinks about the whole context of a disc and the works on it, and I look forward to what she does next. Recorded St Augustine's Church, Highbury, 18-22 August 2014.